INSTANT DOWNLOAD CARNIVAL PARTY PRINTABLES! Carnival party printables to make your own big top circus carnival party for birthday parties and baby showers! 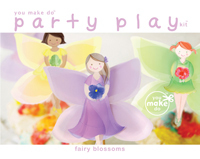 This party pink and yellow carnival party printable kit is filled with over 75 pieces to make! Some of the printables in this set are even CUSTOMIZABLE—add special messages, children's names, or other words to your customizable party printables yourself! Simply click and type on your customizable printables before printing! This party printable kit is an INSTANT DOWNLOAD! 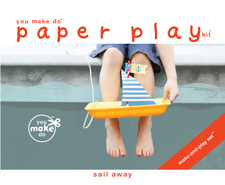 After receiving your order, a link to this You Make Do® party pdf printable download will be automatically e-mailed to you. Begin printing as many party printables as you wish right away at home or at your favorite copy or print shop! ★ CUSTOMIZABLE carnival banner—create a banner with any message you wish! Ready-to-print banner flags with the letters to spell "carnival" are also included. ★ DIY CUSTOMIZABLE carnival party signs—make signs for your carnival party games or food table. Customize with messages like "ring toss", "popcorn", "cotton candy", "face painting", or anything you would like! Print as many different signs for your party as you wish! ★ CUSTOMIZABLE tented place cards. 3.5" tall x 4.5" wide when folded. Cards stand up and may be placed as place cards beside place settings, as menu cards on a food table, beside party games, and used as thank you cards too! ★ CUSTOMIZABLE 3" party circles can be used as gift tags, cupcake toppers, name tags and more. ★ CUSTOMIZABLE 2" party circles can be used as gift tags, cupcake toppers, name tags and more. ★ Silly photo prop printables to add a photo booth, and fun silliness, to any party. Or, make these to give as carnival party favors! If you will be customizing your printables, please use the first link that you receive on your receipt stating, "Click here to download". This link will open your file in Acrobat Reader so you may customize your printables. Over 75 pieces to print, make, and enjoy a fun-filled circus celebration!